Few minutes ago we posted a rumour about a possible duet between Madonna and Gwen Stefani, produced by Pharrell. Unfortunately one of our closest sources confirmed us that it’s totally fake. 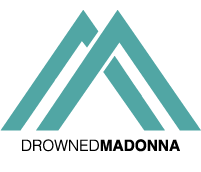 But concerning Pharrell Williams, we at DrownedMadonna.com can tell you some exclusive news about the collaboration between Madonna and Pharrell for the Queen of pop upcoming album. There are 3 songs made with Pharrell and these are the titles: BACK THAT UP, TAKE IT BACK and TAKE A DAY. We don’t know if these songs will be part of the album. Madonna and Gwen Stefani together in a song? On this day: Madonna's Confessions On A Dance Floor was released 9 years ago.